For years, “White Wolf Leaping” by Jim Brandenburg has been my favorite photograph. 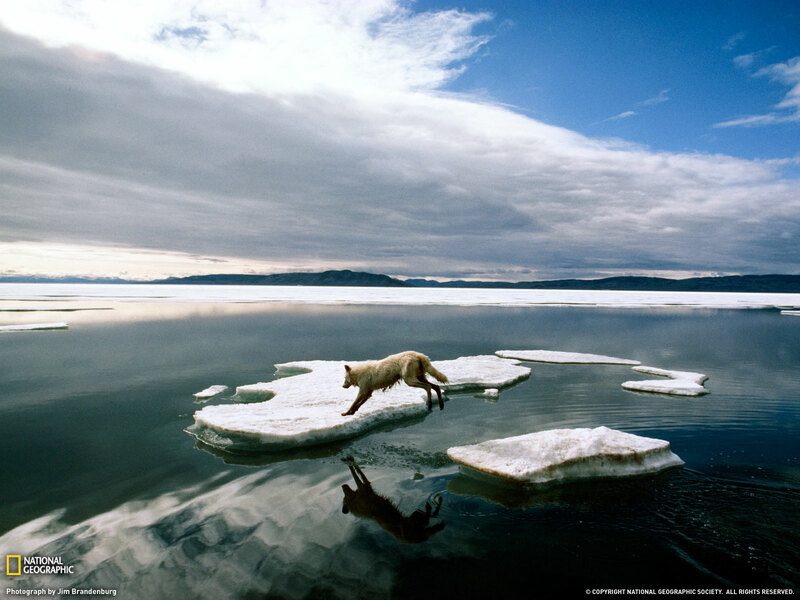 In this photo, an Arctic wolf leaps from one patch of ice to another. Brandenburg captured the wolf in mid-leap, suspended between one chapter of its life and the next. I don’t just love this image because wolves are among my favorite animals. I love it because of what it reveals about life. Like Brandenburg’s wolf, each person in this world is on a journey, leaping forward into the future. We don’t always know what’s going to happen next. We don’t know if the ice on which we land will be sturdy or if it will fall apart and plunge us into chaos. But we leap anyway, because it’s all we can do. Any creative endeavor -whether it’s a photograph, a drawing, a song, a story, a poem, or a novel – requires such a leap of faith. It’s risky, baring your soul to the world as you struggle to turn your dreams into reality. You might fall into frigid waters. You might reach a dead end. Or…you may just find the path you were meant to walk all along. My name is Amy Fontaine, and this year, I’ll be taking a leap of my own…into pursuing my craft, creative writing, more boldly than I ever have before. For me, 2017 will be a year of many firsts: my first time applying to Clarion and Clarion West, my first novel publication (Mist, forthcoming from Thurston Howl Publications! ), my first time being featured in an anthology about sharkasauruses (Are they sharks? Are they dinosaurs? Stay tuned to learn more!). Who knows what other surprises await? I don’t, but I’m excited to find out! I hope you will join me on my journey, and perhaps find inspiration for your own journey along the way.